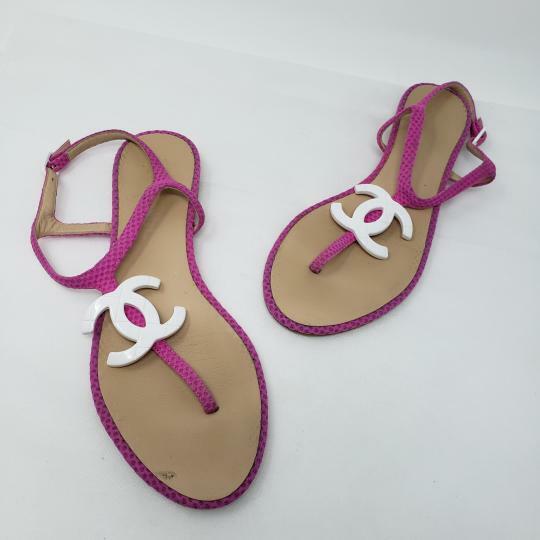 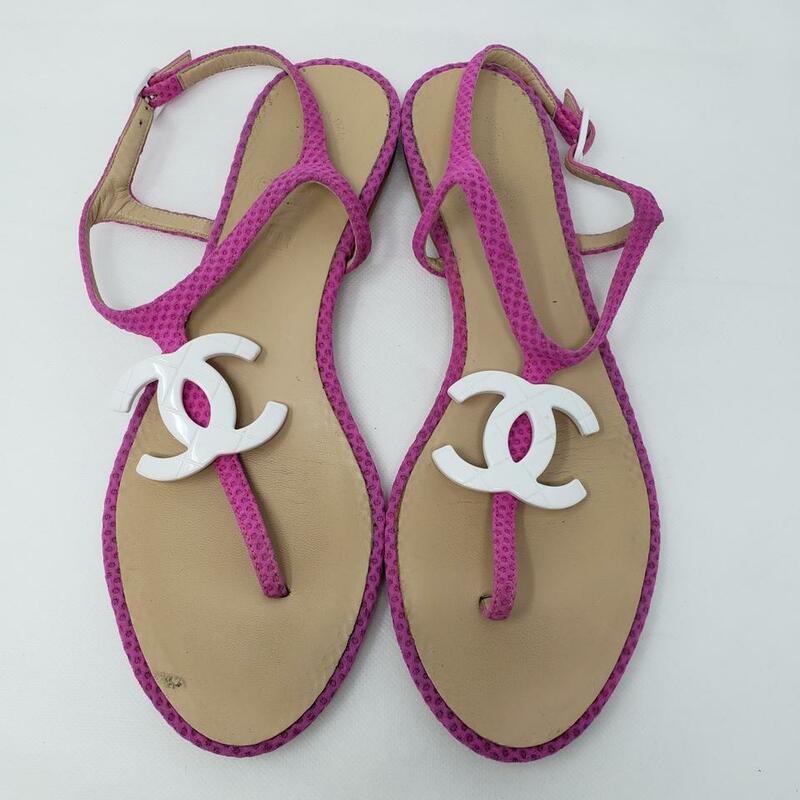 Magenta suede Chanel thong sandals with interlocking CC at vamps, rubber soles and buckle closure at ankles. 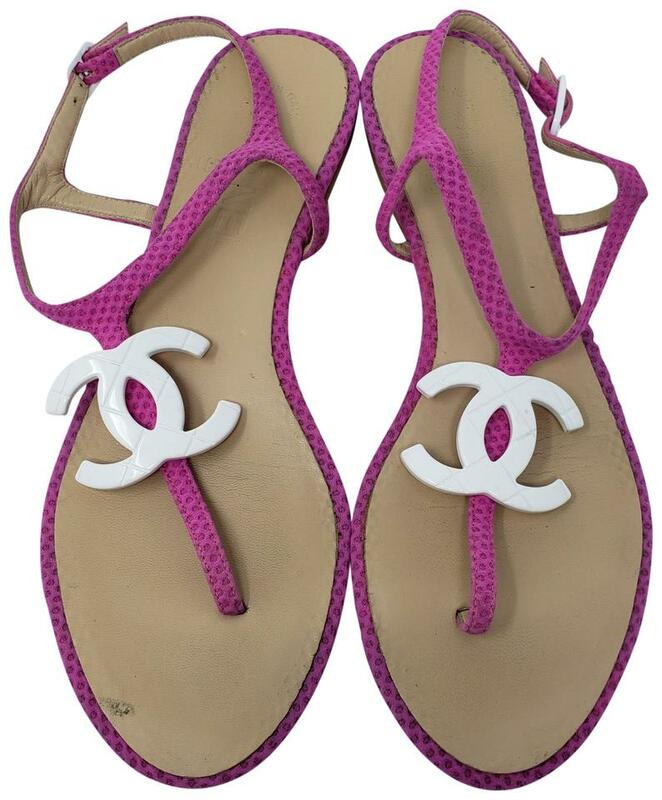 'C' indicates this shoe runs wide. 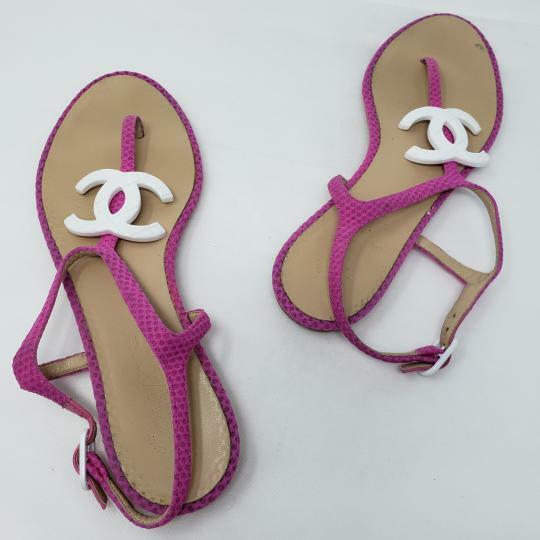 Very Good. 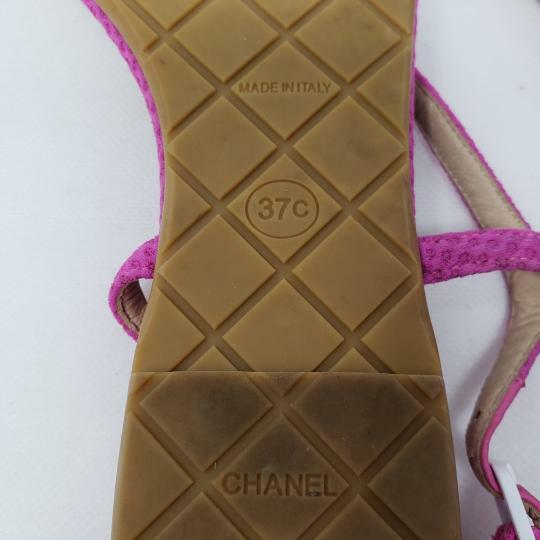 Minor scuffs at soles; minor wear at insoles; light blemishes at vamps.